It's one of the greatest times of the year on the sports calendar, as NHL & NBA Playoffs are upon us. We've got some great deals to help you cash in on the action, so be sure to check your My Offers section. The NHL Playoffs are underway and for all hockey bettors out there, a NHL Playoffs Package is the best way to earn steady profits each round through the Stanley Cup Finals. Use promo code NHL15 at checkout for 15% OFF your order. For all Single Guaranteed NHL Expert Picks, CLICK HERE. Hoops fans, the wait is finally over, meaningful basketball is here. The NBA Postseason tip off Saturday and Playoffs Packages are on sale now. Get the best basketball betting advice for the next two months for one low price. 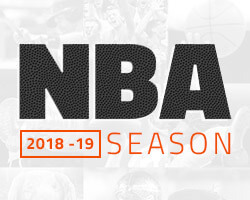 Take an additional 15% OFF using promo code NBA15. For all Single Guaranteed NBA Expert Picks, CLICK HERE.